A conference on security concerns in Nigeria, the most populous state in Africa, was not held on the continent but in France, a former colonial power in the region, on May 17. Nigeria, which has recently been designated as having the largest economy in Africa, is a focus of the governments of the United States, Britain and France in relation to a rising conflict in the northeast of the country. President Goodluck Jonathan’s government has been unsuccessfully battling the Boko Haram sect there; since 2009, thousands of people have been killed in the conflict involving the military, the state security forces and Boko Haram. With the abduction of nearly 300 high school girls in the village of Chibok in Borno State on April 14, the leaders of the Western states have made rescuing the students a military priority. Offers by Boko Haram leaders to exchange the girls for members of their organization held by the Nigerian government have been publicly rejected by the Jonathan administration. Nigeria is the largest exporter of sweet crude oil to the U.S. The country also has substantial natural gas reserves. Since 1956, the Nigerian oil industry has been dominated by Britain, U.S. and European firms. In recent years the People’s Republic of China has signed agreements with the government in Abuja, the capital, to increase its investments in the Nigerian oil industry. President Paul Biya of Cameroon, backed by President Idriss Deby of Chad, went even further, proclaiming that “we are here to declare war on Boko Haram.” Biya noted that the problem of Boko Haram was no longer just regional, given the abduction of two Italian priests and a Canadian national in April. “Boko Haram is a major threat for all of western Africa and now central Africa, with proven links to AQIM (Al-Qaeda in the Islamic Maghreb) and other terrorist organizations,” said Hollande. France already has troops in the West African states of Mali and Niger as well as in the Central African Republic, all of which are former colonies of Paris. Many politically informed people have alleged that there are northern regional elites, both within the Nigerian administration and the military, who are providing covert support to the insurgent group. Many members of the officer corps of the Nigerian army are from the north, which is heavily dominated by Muslims. Reports have surfaced in recent weeks of unrest within the military in the north. Aspects of these stories indicate that lower-ranking soldiers are dissatisfied with the character of the operations being carried out against Boko Haram in three of the northeastern states, which are now under a state of emergency. Jonathan is from the south of Nigeria, and there is concern that the Boko Haram attacks in the northeast are a reflection of a regional power struggle in the country. The president’s inability to command authority in the military may also be related to deep divisions within his own People’s Democratic Party, which is facing a tough re-election campaign in 2015. Nigeria has a history of military intervention in political rule. In 1966 there were two military coups, which led to a civil war from 1967 to 1970. 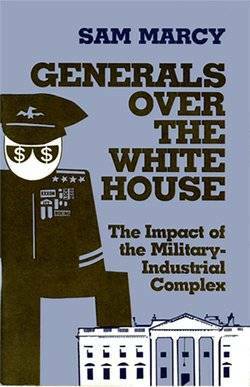 Between the 1960s and the 1990s there were periodic military seizures of power. After a return to civilian rule in 1979, a military coup was carried out in late 1983 and again in mid-1985. A scheduled election in 1993 was halted when another military leader took power and held it for five years. In 1999, former military leader Gen. Olusegun Obasanjo came out of retirement and successfully ran for president as a civilian candidate. Over the last 15 years the country has been under civilian rule. However, the Boko Haram conflict has created speculation that the military is playing a significant role in the destabilization of the Jonathan government. The designation of Nigeria as an economic powerhouse on the continent is leading to a scenario of increased military and intelligence interventions on the part of the imperialist states. The conference in Paris is representative of the burgeoning militarization of the continent, led by the Pentagon and NATO forces. There is still considerable poverty and underdevelopment in Nigeria. The profits accrued from the exploitation of oil and natural gas have not been sufficiently reinvested to boost the social wages of the working class and poor of the country. The political weaknesses of the Jonathan government are being used by the Western powers to further infiltrate the Nigerian state. However, the measures taken by the government will not improve the security and well-being of the workers, farmers and youth of the country. Strikes and other industrial actions have been occurring in Nigeria at an escalating pace over the last two years. The working class and youth, who have been demanding better jobs, educational opportunities and environmental justice, must take control of the political future of the country. The security of young girls and women cannot be achieved by forming closer ties with the imperialist states, but only through the organization and mobilization of the Nigerian masses. If the government of Nigeria cannot provide necessary security for the youth of the country, then it will be up to the majority working class and farmers to self-organize to put an end to imperialism and their collaborators in the country.